Baillie McGirk Commits to Michigan Tech University! 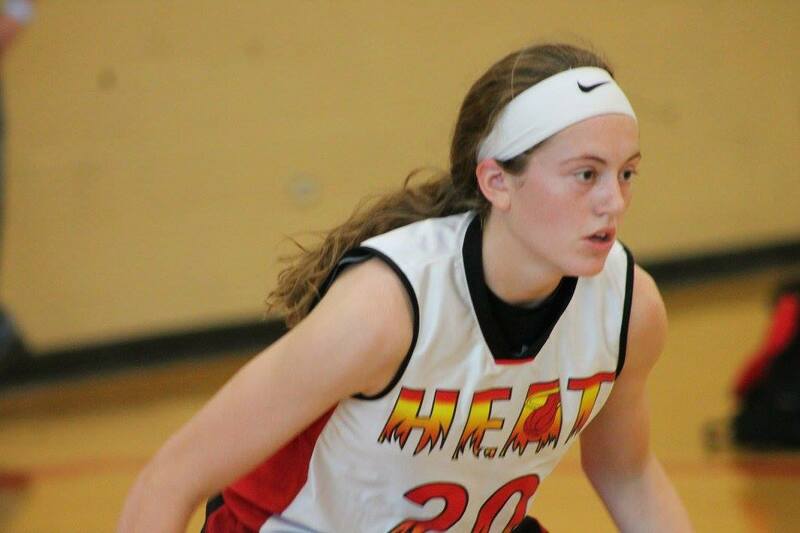 Shout out to Heat Varsity Elite player Baillie McGirk (Lutheran High) for verbally committing to accept an academic and athletic scholarship to NCAA-Div 2 Michigan Tech University! Baillie is Point Guard/Shooting Guard that has great ball handling abilities who rarely turns the ball over. Has top speed that will blow by most defenders in the open floor to get easy transition points. Baillie has a great first step to break down defenders to knock down her patented pull up jumper of can drive all the way to the hoop with ease. Currently Baillie is undecided in her major while playing basketball. Great Job Baillie, all Heat Coaches, Players, Parents, Fans, and Alumnae are proud of you! Ellie Welsh Commits To Michigan Tech University! Shout out to Heat Varsity Elite player Ellie Welsh (Hononegah High) for verbally committing to accept an academic and athletic scholarship to NCAA-Div 2 Michigan Tech University! Ellie is blue collar, glue player that sets the tempo of any team. Ellie can guard anyone at any position and will constantly out work them, she is the type of player that just quit. On top of her work ethic, Ellie can flat out shoot the ball! Just when you think she is going to shoot another 3 pointer, she will take you all the way to the rim! Ellie will be pursuing a major in Neuroscience and Psychology while playing basketball. Great Job Ellie, all Heat Coaches, Players, Parents, Fans, and Alumnae are proud of you! Ellie Welsh Picks Up Basketball Offer! 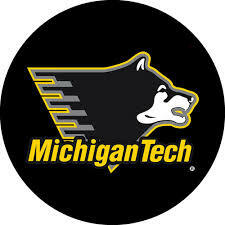 Shout out to Heat Varsity Elite player Ellie Welsh (Hononegah High) for picking up a Div 2 offer from Michigan Tech University! Ellie is blue collar, glue player that sets the tempo of the team. Ellie can guard anyone at any position and will constantly out work them. On top of her work ethic, Ellie can flat out shoot the ball! Just when you think she is going to shoot another 3 pointer, she will take you all the way to the rim! Great Job Ellie and keep up the hard work as the beginning of the high school season approaches! Madison Davis Picks Up First D1 Offer! Shout out to Madison Davis(Rockford Lutheran) for picking up her 1st D1 offer from NIU as a Sophomore! Madison, Class of 2018 Shooting Guard has positioned herself as one of the top shooters in the Midwest. Since the final NCAA Live period at the end of September, she has caught a lot of attention at the D1 level. If you have not heard her name before, get ready, there will be a lot in store for her! Great Job Madison! Keep up the hard work! 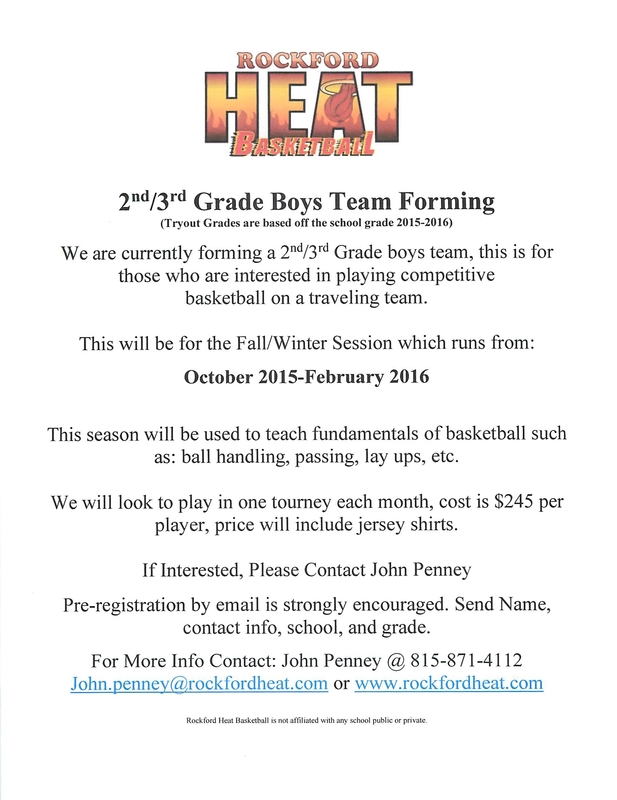 If you are interested in a spot on a team, please contact John Penney ASAP! The winter session runs until the end of February. Boys 2nd-3rd Grade Boys Team Announced! Please feel free to pass on to anyone that may benefit from this. Hoping to start season in the next week or two.